Banksy managed to burst into the scene sometime in the early 2000s. Since then, the mysterious man has become one of the most discussed artists of our entire generation. He has his own unique brand of art that is often critically acclaimed and just plain criticized by those who witness it. Some say he is destructive, others claim he is a genius. It is all a matter of perspective, honestly. He remains completely anonymous and mysterious, though. Here are ten beyond interesting tales of Banksy. 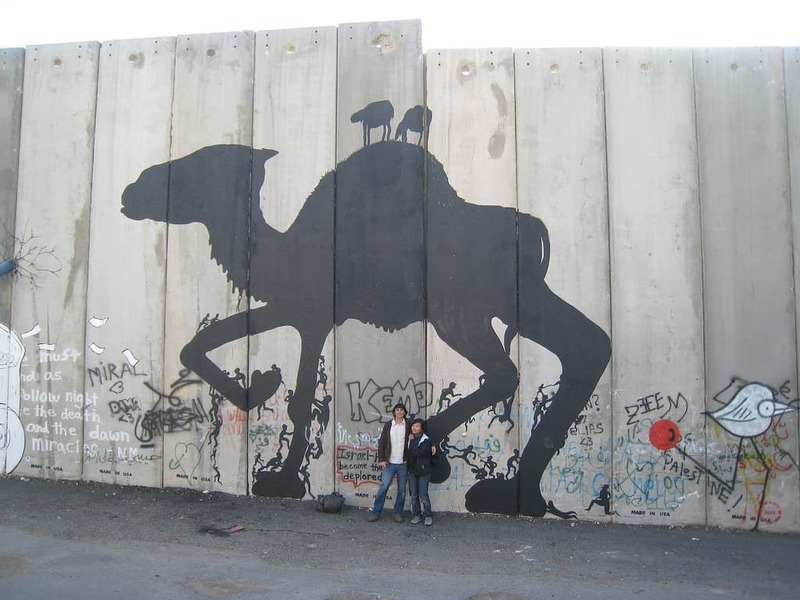 The West Bank Barrier is known for being a massive wall separating Israel from Palestine. It is 425 miles long, making it three times as big as the original Berlin Wall. 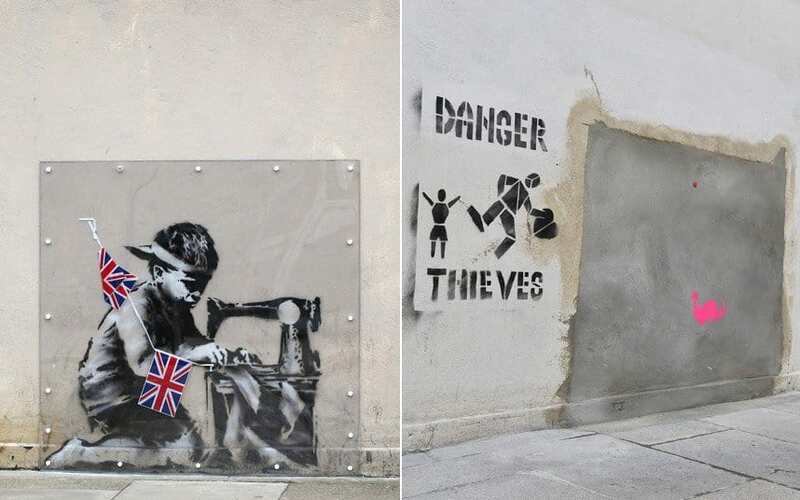 One morning, citizens awoke to discover paintings on either side, all done by Banksy. According to his spokeswoman, the artist was nearly shot multiple times while creating this work. Graffiti has been around far longer than Banksy himself has. 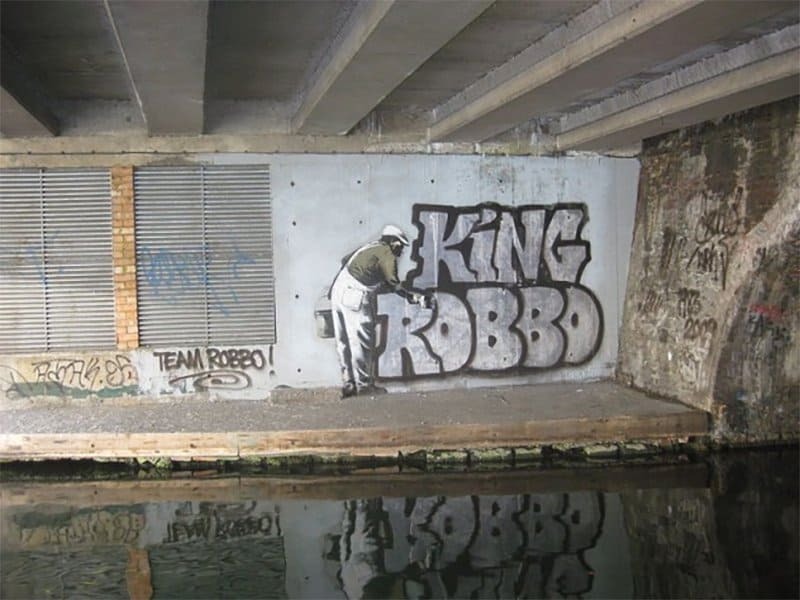 One of London’s oldest, most well known artists is Robbo. In a bid for the top spot, Banksy doctored one of Robbo’s original tags, making it almost his own. The two then erupted into a graffiti war throughout London. 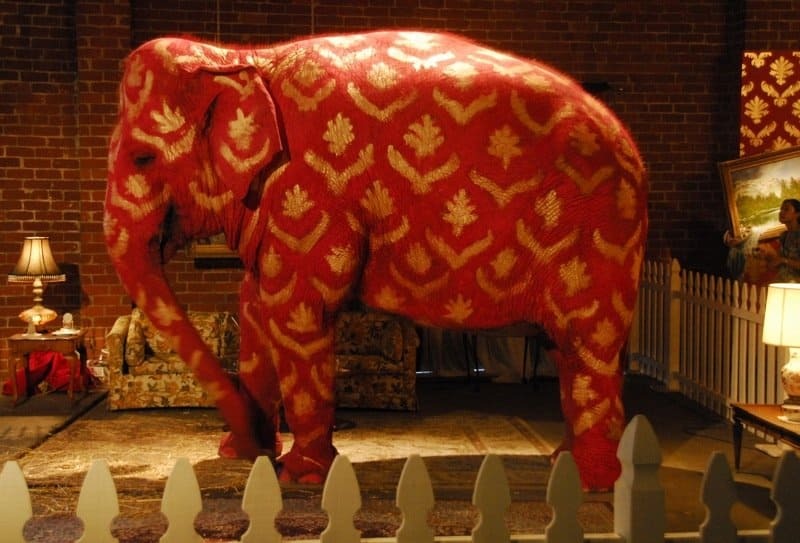 “The Elephant In The Room” is one of the most famous exhibitions from Banksy, who released an actual Indian elephant that was spray painted by the artist himself. He used non-toxic paint, of course. It was said to symbolize the world’s poverty. 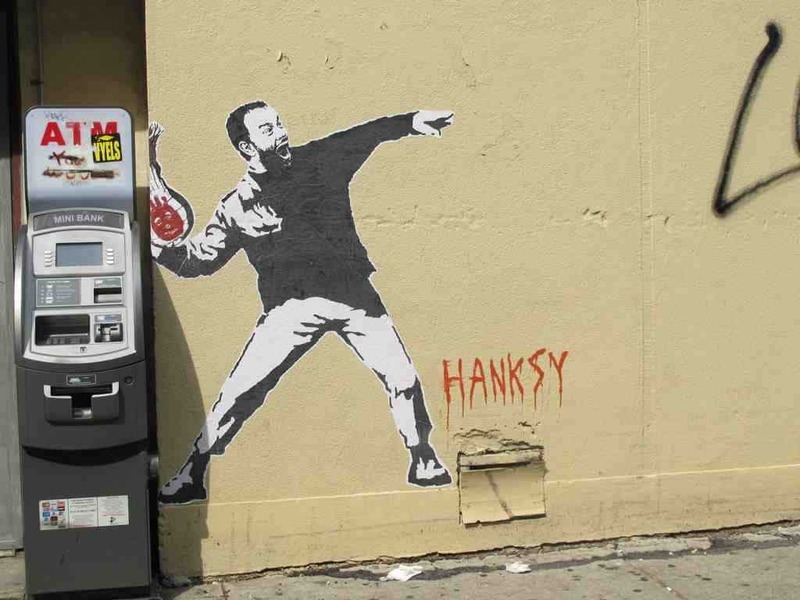 Hanksy, a street artist from New York, adopted Banksy’s name to gain some notoriety. The one major difference, however, is that Hanksy focuses solely on Tom Hanks, the renowned actor. All of his work includes the man. Before Banksy was personally invited into various galleries around the world, the artist would sneak in an insert his own handcrafted work himself. In 2003, he visited the Tate Britian gallery in disguise. He glued his painting to the wall. People love to make fun of Paris Hilton, and that includes the legendary Banksy. In 2006, Hilton dropped her debut album in the UK. 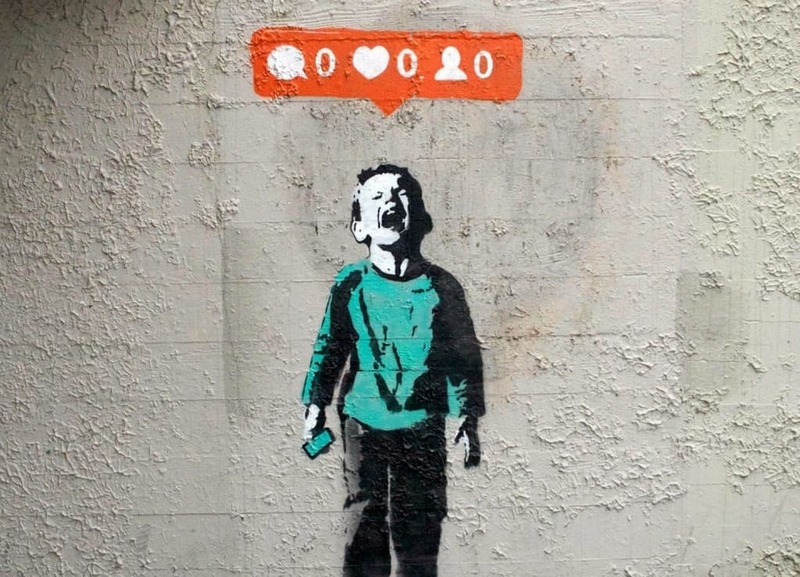 Those wanting to purchase it, however, had to sift through the doctored copies by Banksy. 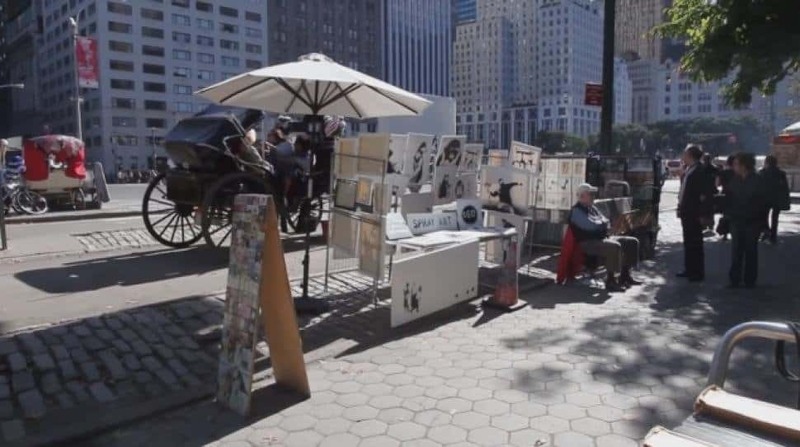 In October of 2013, an old man set up a stall within Central Park and began selling Banksy prints for around $60 total. 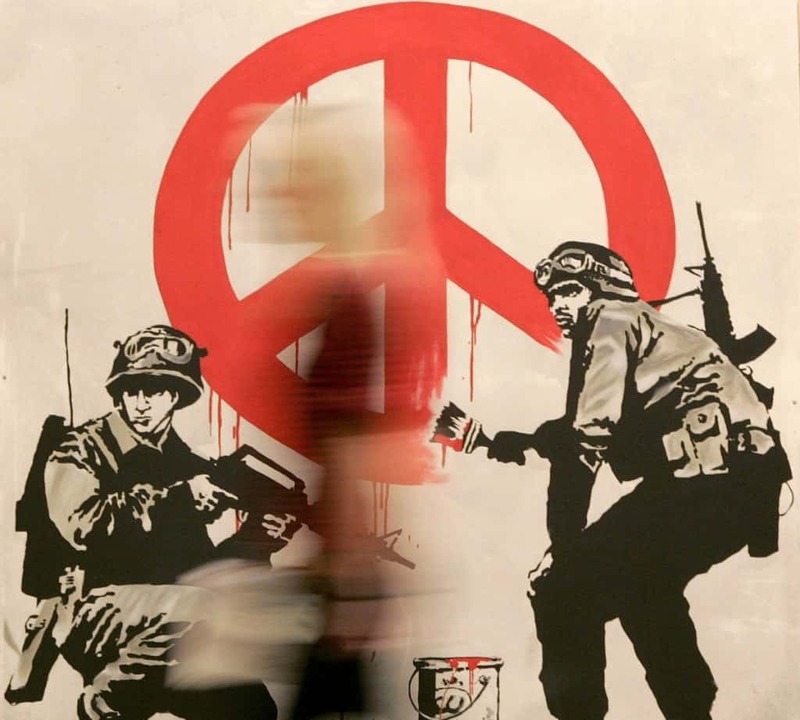 These prints were then authenticated by Banksy himself, and were priced at $70,000 and $50,000 each. Most of Banksy’s artwork is situated in public spaces – including the sides of buildings and under bridges. This makes it available for everyone to see. However, one was stolen from the side of a shop in North London. The thieves cut the piece of wall away. 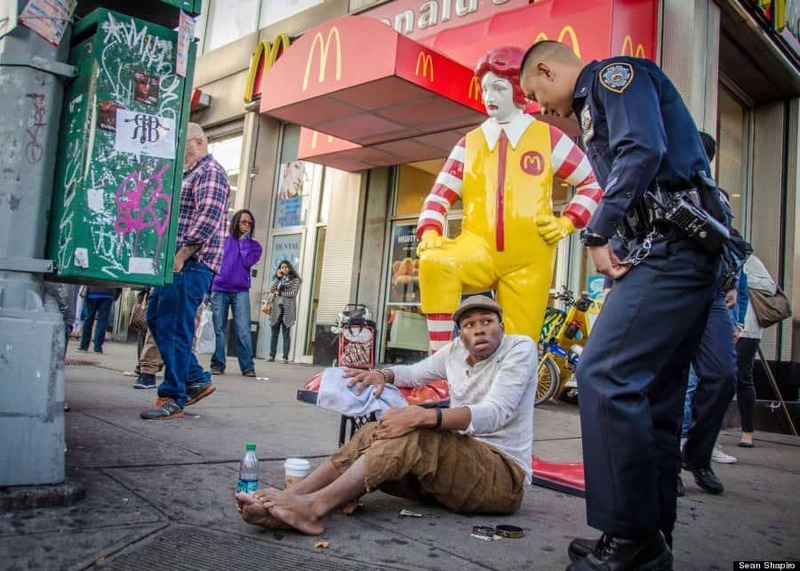 In a more recent piece, Banksy crafted a large sculpture of the famous Ronald McDonald, of Mcdonald’s fame, to criticize fast-food. The sculpture moved from place-to-place, with a young shoe shine boy always with it. To this day, no one knows who Banksy is. Some claim he is Damien Hirst’s alter ego, and others say he is Robin Cunningham, a 39-year-old artist from London. Banksy’s team refuses to confirm or deny whether these reports are true, though.